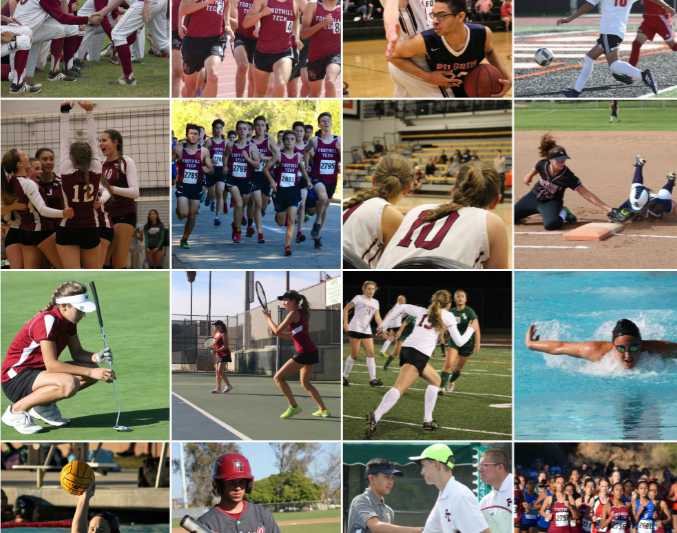 Many of Foothill’s fall sports teams had a successful year. 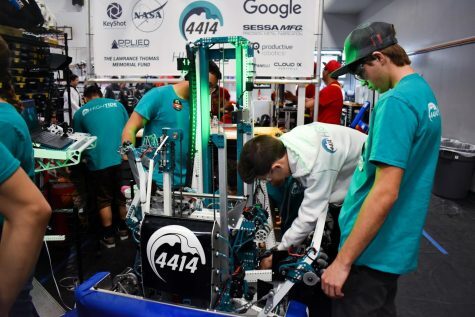 This year, a total of three teams made it to a California Interscholastic Federation (CIF) playoff game or meet and one team won both a CIF and a State Title. The cross country team set the bar high this fall season scoring League, CIF and State victories. The boys claimed the League Championship with a record of 48 wins and zero losses and also obtained the CIF and California State Champions title, impressively setting the all-time course record for Division IV in the State competition. “They got themselves there […] and competed when it was time to compete,” Reeves said. Reeves believes that it truly was a “team effort” and is “looking forward” to see how the team will compete next season. “Everybody on the team has an impact on how we do [including] people that aren’t getting the glory, you know, they are out there doing the work and they’re helping everybody get faster,” he said. Competing as only a second-year program, the girls’ golf team had a competitive season, going undefeated in League with a record of 12 wins and zero losses. Hannah Hart ’20 finished with an over score of 143 and Paris White ’19 finished with an overall score of 141 in the individual Regional CIF Championships. Golf is an individual sport, however, the team adds up all of their personal scores to get an overall team score. Because the sport is individual, it can be difficult to see the players personal improvements by simply looking at the outcome of the match. However, in this case, coach Janey Dunn felt that the team’s improvements were shown through the team’s sweep in league competition. “We definitely played better, as we won our league and went undefeated,” she said. She thinks that the team played with “more confidence and determination” this season and is excited to see what will happen in the years to come. 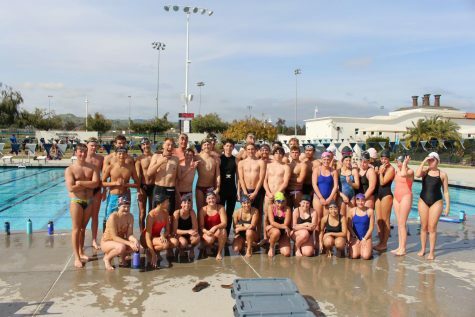 The boys’ water polo team faced a challenging season this fall. The team ended with six wins and 21 losses overall and placed fifth in league competition with one win and nine losses. “As the season progressed, we [began] to play more together as a unit and this freed us up to be more aggressive and creative,” Wallace said. According to Wallace, the team will continue to improve in the years to come and push towards the team’s goal of placing top three in the Tri-Valley League and competing in CIF. “We are looking forward to next season and continuing to improve as student athletes and community members,” Wallace said. 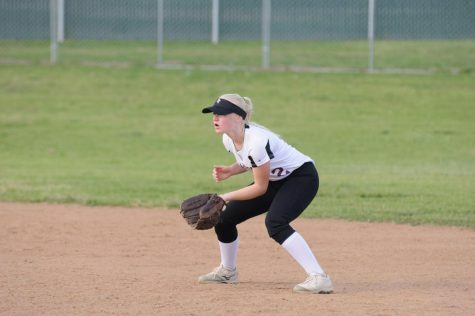 According to girls’ tennis coach, Brad McClain, the team got off to a rough start, losing two close league games that cost the team a “playoff berth.” The team ended the season with an overall record of eight wins and six losses and a league record of two wins and six losses. McClain felt that the team was in a “very tough” league and “struggled” throughout the season. He believes that many of the girls struggled because they did not play in the off-season. Despite the team’s difficulties, McClain felt that the team played “well” this season. He is “encouraged for next season” because there will be six returning players that play in the offseason that he is “excited” to work with. The girls’ volleyball team had another successful season. The team earned an overall record of 13 wins and 13 losses and a League score of eight wins and four losses. The team was able to compete in CIF but fell to Malibu in the first round, losing 1-3, with set scores of 24-26, 25-23, 18-25 and 24-26. “We are much closer to being that team than we were in the beginning of the season and so for that reason, it was a very successful few months,” Gullatt said. With only five sports teams competing in the winter season, Foothill seemingly had fewer chances to make a playoff run compared to other sports seasons. The Dragons, however, had four of their five teams participate in CIF, one of which made the state tournament as well. The team made it to the CIF quarterfinals after winning their first two playoff games but was bumped out by Nuview Bridge High school 1-3. Coach Andreas Wedderien feels the team did not reach their full potential because “the day we will win the CIF final will be the day we reach our potential.” Wedderien said that the team lacked some “basic defensive positioning” and next year will need to focus more on finishing offensive opportunities. According to Wedderien, next year the team will be “focusing on the individual player development” and “working on team unity.” They will be striving for a league championship and afterward, a CIF championship. The team also switched divisions for CIF, so even though they lost in the first round, Plahn believes they “did really well, compared to how we did in the past.” This program has had three successful years so far and will look to continue on that culture next season. Boys’ basketball had their first winning season and took advantage of a returning group of boys from the previous season, thriving on chemistry. 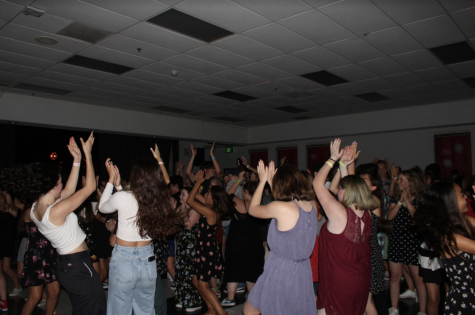 When it was all said and done, the team had a record of 24 wins and seven losses and won their league (co-champions with Thacher School) with an overall record of eight wins and two losses. In their first CIF playoff appearance, the team went far, winning three games before losing in the semifinal by five points to Pacifica Christian High School. With this deep run, they earned a bid in the state tournament, where they won their first game on the road, before losing to top-seeded Rolling Hills High School in the quarterfinals. Rolling Hills would go on to win state. The girls’ basketball team had yet another winning season, behind the strong core of girls that entered Foothill last year. They had a stellar ten win record in throughout their league competition, where they were champions, and had an overall record of 19 wins and seven losses. After losing in the first round last year, the girls made a deep playoff run, making it to the semifinals where they lost to Beverly Hills by three. Beverly Hills went on to win the championship match. “I feel we can improve in the area of being more aggressive on both offensive and defense,” he said. Next year, the team will have most of the players returning, ready to make another run. After a largely successful 2016 campaign, the Dragons’ track-and-field team set the bar even higher this year with impressive marks all around. According to head coach Jason Dinkler, the team “had several athletes that made a significant impact” for the team this season. As a result of this, a total of 22 school records were posted over the course of 2017. In the regular season, Foothill dominated their league opponents. Both the boys’ junior varsity and varsity teams went undefeated with a 5-0 record. On the girls’ side, the junior varsity team ran the table and finished 6-0, while the varsity team went 5-1. When championship season came around, the Dragons seemed to have not lost any of their momentum; the boys’ varsity, boys’ junior varsity and the girls’ junior varsity were all crowned league champions. The girls’ varsity team settled for second place, falling just shy of a league title by 15 points. 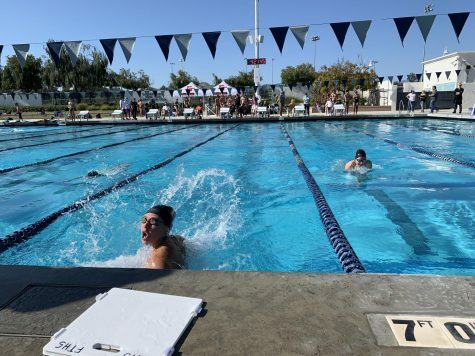 They were edged out by Malibu High School with a meet score of 126-111. In the postseason, the Dragons advanced “approximately 30 athletes to CIF Prelims,” according to Dinkler. From that point, 13 of those athletes qualified for CIF Finals at Cerritos College. 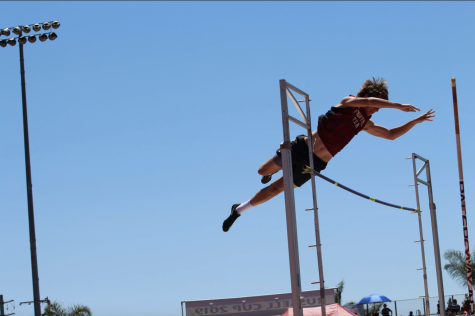 However, the impressive season came to an end following CIF Finals, where none of the Foothill athletes qualified for the CIF Master’s Meet. Click here for a list of Dragons who were selected as All-League, All-County or All-CIF track-and-field athletes. Led by coach Brad McClain, the boys’ tennis team “secured the first playoff win for boys’ tennis at FTHS.” McClain indicated that there was constant interference regarding the weather, as he described the season as “a rainy one.” Nonetheless, the Dragons’ squad remained solid throughout the course of the season. 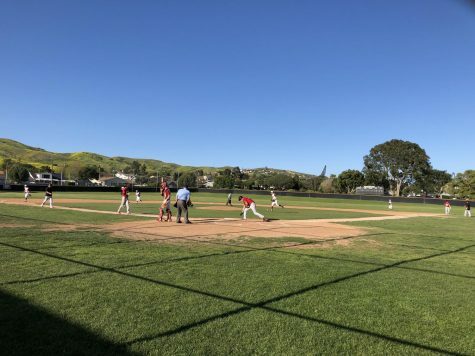 After emerging victorious in the first round of the CIF Playoffs, the team was “defeated in the second round 13-5 by the eventual CIF champions.” McClain was “very proud of the boys” after their groundbreaking season. Under head coach Clint Ellison, the boys’ baseball team took a huge stride forward in 2017. Foothill went 16-7 (9-1 in league play) en route to taking home the program’s first-ever Frontier League championship. 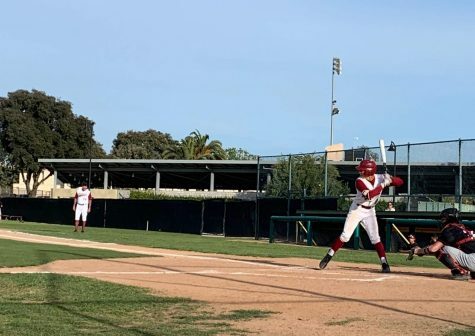 The Dragons were virtually impossible to stop over the last few weeks of the season, as they ripped off a seven-game win streak to close out the regular season and headed to the CIF Playoffs with the momentum completely on their side. Foothill won their first round playoff matchup with a final score of 4-2 against Providence High School. Unfortunately, they suffered a season-ending loss at the hands of Santa Maria High School. “I would say [that this season], despite the loss, showed our progress as a team both physically and mentally,” Casswell said. Standout players on the team included Aidan Donnelly ‘20, who recorded a 92.0 stroke average. According to Wipf, Donnelly “was our team MVP.” In addition, Mason King ‘19 posted a 93.1 stroke average over the course of the season. Both players were selected to the TVL All-League 2nd Team. Led by head coach Jason York, both the boys’ and girls’ swim teams found success over the course of the 2017 season. The Dragon boys secured three league victories, which contributed to their achievement of a 4-2 mark. The girls fared even better, posting an undefeated 7-0 overall record (5-0 league record). The girls’ team also was crowned league champions in 2017, but the boys’ squad was unable to achieve this feat. When reflecting on the past season, varsity swimmer Evan Wallace ‘20 declared it a “successful” one. He believes that the team does not specialize in one specific area, but instead, they focus on each aspect of the sport. Led by Coach Jason York, the entirety of the swim team looks to duplicate their success in the 2018 campaign. The boys’ volleyball team attempted to change their style of play this season by running “a faster offense and [staying] in the system as much as possible,” according to head coach Janine Cobian. 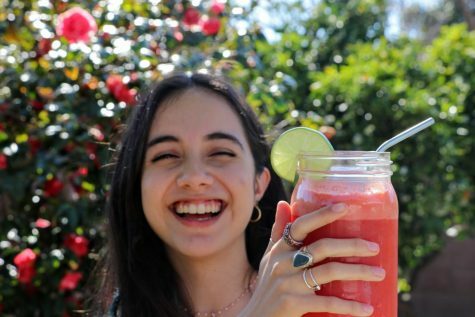 For the most part, the philosophy seemed to pay off. The Dragons recorded an impressive 21 overall wins while losing just seven games, and their league record was 12-2. 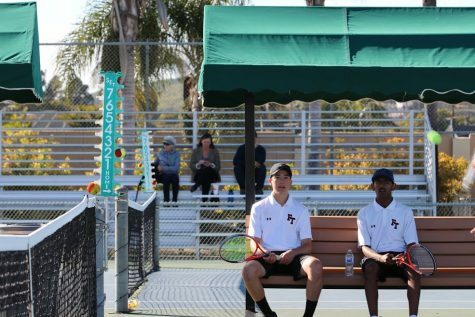 Over the course of the season, individual performances and contributions propelled Foothill to a successful season. 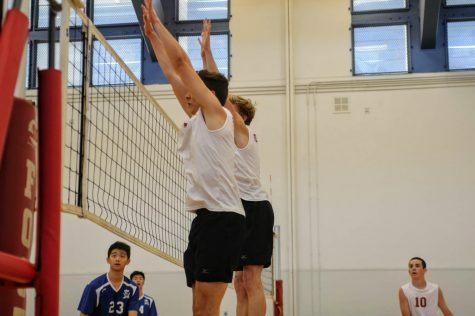 Kyle Cobian ‘18 was second in the nation with 114 service aces while also logging 607 assists. Ian Overton ‘20, the team’s only senior, recorded 309 digs. The depth of the team was made apparent as well, as Chad Talaugon ‘18, Jerod Frederick ‘18, Dylan More ‘18 and Collin Weaver ‘18 combined for a total of 954 kills. 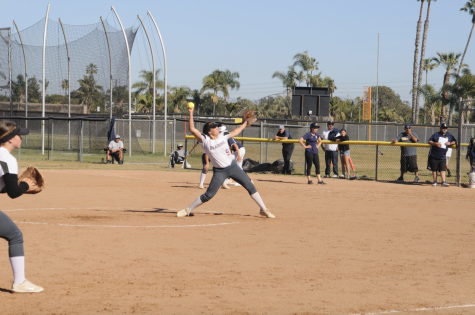 One year removed from a league championship and a deep run into the CIF playoffs, the softball team took a step back in 2017. They only managed two wins in league play, opposed to eight losses. Their overall record was slightly better when considering win percentage, as they posted an 8-16 mark. The season seemed to be subpar to many because of the failure to qualify for the CIF Playoffs. However, the team hopes that the previous season was merely an outlier and that they will return to the previous form. Although Jamie Dietz ‘19 feels that the team “didn’t achieve our goals and expectations,” she believes the future is bright. The team, built around its young core, will look to take a step forward in 2018 under head coach Priscilla Rouse-Becker. A CIF Playoffs berth is definitely in their sights.